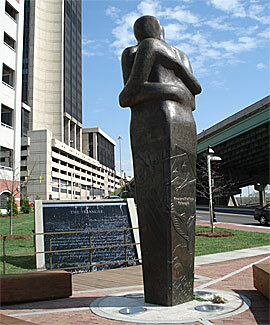 How about a memorial to the enslaved persons who suffered under the institution in Virginia on Monument Avenue. In Louisiana at Whitney Plantation there is a monument like the Vietnam Veteran’s wall with the names of every enslaved person in the state on it. something like that might give people a clue as to what exactly those “Heroes of the Confederacy” were fighting for.